With finals week coming and hitting many students with a reality check, HCC has offered an event that lasts the whole week to assist students. 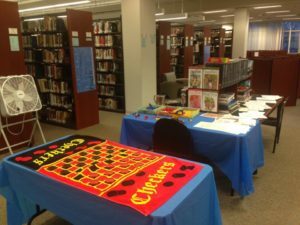 For those students who are pulling their hair out, or have no more chill for this cold exam week, the library is having what is being called “The Great De-stress Event” from Thursday, December 8 through Friday, December 16. Curleen Elliot, one of the librarians at HCC, said this will be the second year this event will be held. “We had started last year, fall 2015, and were surprised by the turnout,” she said. Previously, the event was so well received by students that the library had to extend its hours on the final day, even though there was little promotion compared to this semester. Starting on Thursday the 8th, the library will open early for students to come in and mellow themselves out. At 7 a.m., normal services in the library will be available in addition to quiet games and activities provided for students. Before meeting their fate or after running through their final trial, students can lay back and play with legos! 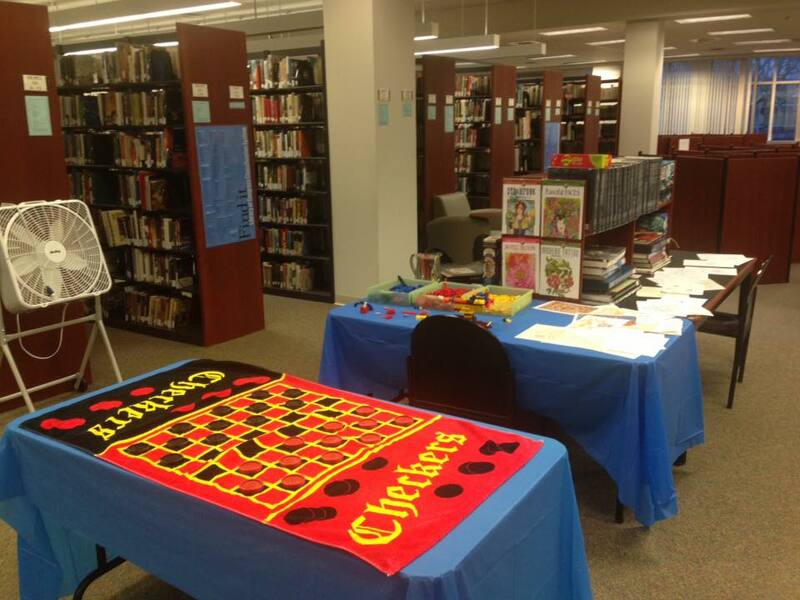 The set up for the library’s event. Photo courtesy of Housatonic Community College library. You can look forward to lego blocks to keep the mind running on low power, adult coloring books to release that odd feeling of satisfaction, and board games to help you forget about your impending doom. All these will be available in the library from 7 a.m. to 9 p.m. on most weekdays. Elliot says that, while these may seem like childish activities, people utilized and appreciated the atmosphere that was produced. Food and drink are still not available or allowed in the library, but healthy snacks can be found in Beacon Hall. The event will be smoothly integrated into the library, preventing an awkward feeling. So if you must use the library to find that last resource, you are still welcome to ask for assistance and grab that perfect quote from a book. But I’d suggest also grabbing a coloring book and finding that perfect shade of magenta to match blue.